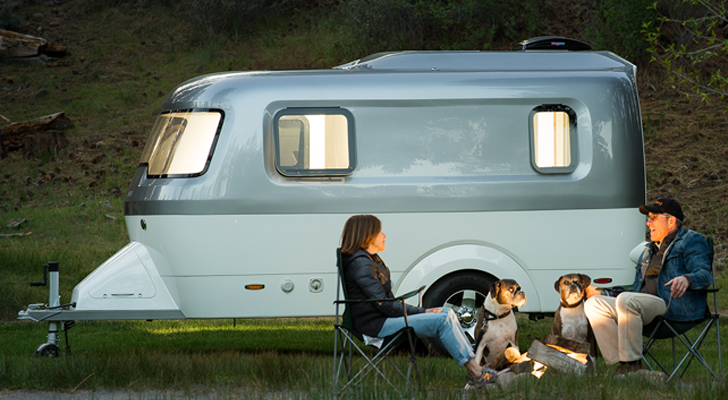 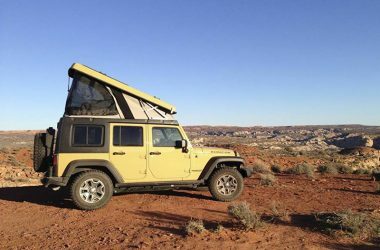 West Coast-based Ursa Minor Vehicles can turn your favorite Honda Element or Jeep Wrangler Unlimited into a pop-up camper. 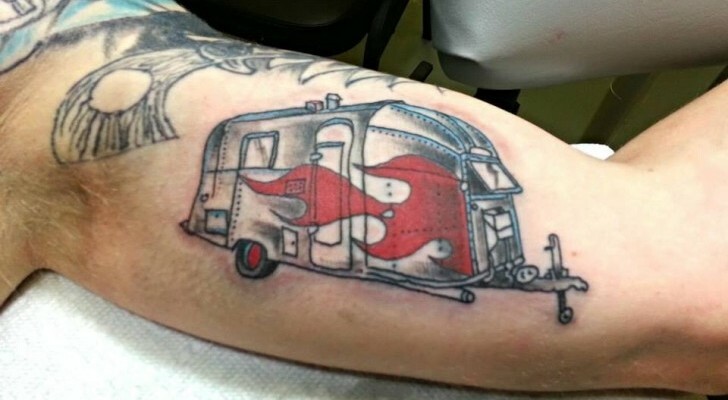 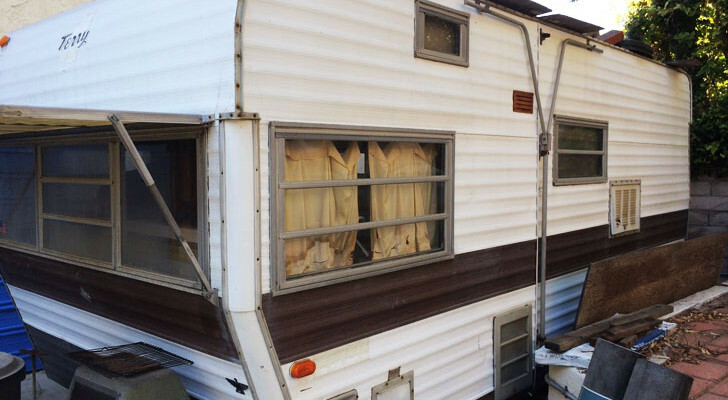 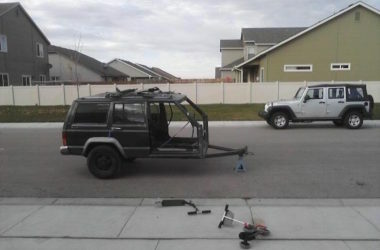 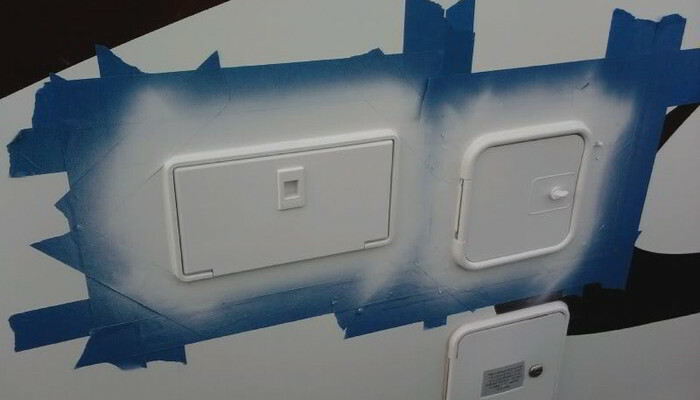 While not yet finished inside, this homegrown Jeep Cherokee camper trailer has the makings for something epic! 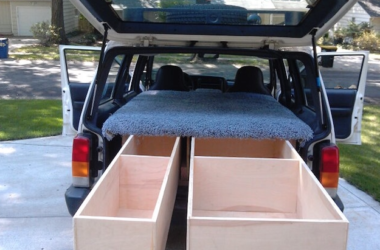 A Jeep Cherokee can serve as a solid camper with a set of drawers supporting a raised sleeping platform. 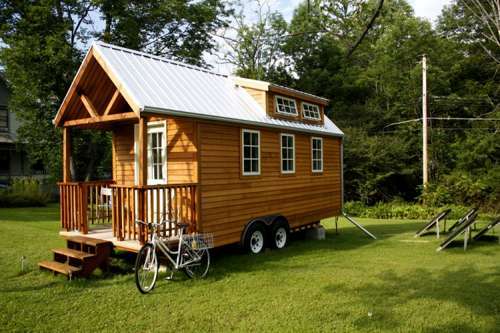 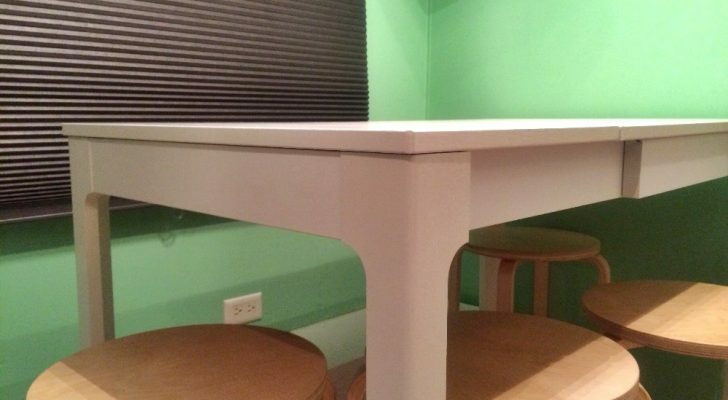 Want to go off the beaten path but don’t want to put on hiking boots? 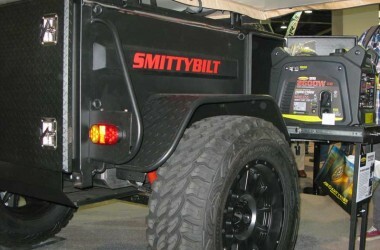 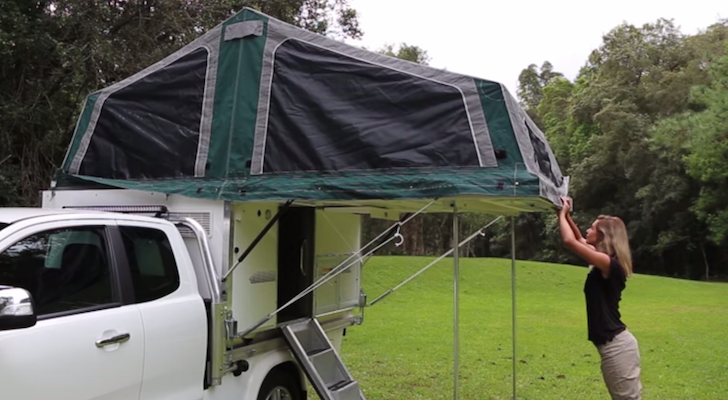 The Smittybilt Recon Overlander Trailer Camper will take you there with comfort.